"You do not see in the creation of the All-Merciful any imperfections"(Al-Mulk 67:3). The fourth characteristic of the Islamic concept is balance, balance in its constituent elements and balance in its teachings. And this characteristic is closely connected with its characteristic of com­prehensiveness, which is a balanced comprehensiveness. 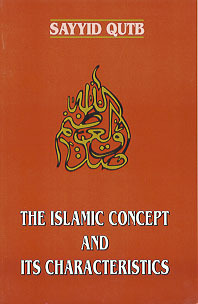 This distinc­tive characteristic protects the Islamic concept from fanaticism, contradictions, and foreign intrusions, while all other concepts are afflicted by such troubles, whether they be philosophical concepts or religious concepts that have been distorted by the addition or subtrac­tion of human ideas or through wrong interpretations of the originally correct beliefs. We present a few prominent examples from the Islamic teachings to illustrate their manifest quality of balance. Some aspects of the Islamic concept we accept by immediate recog­nition of their self-evident truth, and the matter ends there. Other aspects need to be understood, discussed, researched, and applied to the actual circumstances of life. And there is a balance between these two types of aspects. Human nature is happy with both because both of them are as they ought to be. Indeed, Allah knows that the human intellect cannot compass all the: secrets of existence, nor can it fully comprehend them. He therefore conditioned the human intellect to be happy with what it can know and with what it cannot know. And there is a balance between the satisfaction of knowledge and the curiosity about the unknown in the personality of man, reflecting the same kind of balance between the knowable and the unknowable in the nature of existence. A belief system in which there is no element of the unknown nor anything greater than the limited understanding of man can hardly be called a belief. The .human soul can find little appealing in such a system, because there would be little to excite its curiosity or satisfy its sense of mystery. On the other hand, a belief system that is self-contradictory or so steeped in mystery that it baffles the human intellect is also not a belief. The human personality requires something illuminating yet not contradictory or puzzling, because it also needs something that can be understood, translated into action, and be applied in life situations. A comprehensive belief system must contain both aspects in the right proportion so that human nature may find in it a correspondence with its own desires and potentialities. On the one hand, the essence of the Divine Being, the connection between the Will of the Creator and the creation, and the nature of the soul are some of the aspects of the Islamic faith that are beyond human comprehension, while on the other hand there are attributes of Allah, such as His existence, His Oneness, His power, His will, His creativity, and His knowledge, that are within the grasp of human thought. In fact, human reason insists that the Creator must have these attributes, and Islam gives convincing proofs of them. Similarly, there are teachings in Islam concerning the universe, its origination in the Divine Will, its subservience to Allah's commands, its potentiality to welcome life, its relationship with man and man's relationship with it, and there are teachings concerning life, its varieties and ranks, its connection with the rest of the universe, and with its Originator, and there are teachings also concerning man and his nature, his origin and characteristics, and the purpose of his existence, and a system for his life. All these teachings are presented in a clearly understood, logical fashion, which appeals to the intellect and to the heart because these teachings are supported by arguments readily accepted by human intuition. Were they created of nothing? Or are they the creators? Or did they create the heavens and the earth? Nay, they have no certainty (Al-Tur 52:35-36). Some people have taken gods from among earthly things or beings or ideas that allegedly can raise the dead? Had there been in heaven or on earth any gods other than Allah, both would surely go to ruin. So glory be to Allah, the Lord of the Throne, far above all that men may devise by way of definition! He shall not be questioned as to what He does, but they shall be questioned. And yet they choose to wor­ship (imaginary) deities) other than Him? Say, "Bring proof! This is a reminder by those who are with me, just as it was a reminder (voiced) by those who came before me." Nay, most of them do not know the truth, and so they are turning away (Al-Anbiya 21: 21- 26). Is not He who created the heavens and the earth able to create the like of them? Yes, assuredly! He is the Supreme Creator, the All-Knowing. Indeed, when He desires a thing, His command is "Be" and it is (Ya Sin 36:81-82). Who is it that created the heavens and the earth, and sent down for you water from the sky? For it is by this means that We cause gardens full of loveliness to grow, whereas it is not in your power to cause trees to grow. Could there be any divine power besides Allah? No, they (who think so) are people who swerve. Who is it that made the earth a place of rest and a fitting abode, and made rivers in its midst, and set upon it firm mountains, and placed a partition between the two bodies of water. Is there a god besides Allah? No! Most of those (who think so) do not know. Who is it that answers the distressed when he calls out to Him and removes the suffering, and has made you inheritors of the earth? Is there a god besides Allah? How seldom do you keep all this in mind and meditate on it! Who is it that guides you in the darknesses on the land and sea, and sends the winds bearing glad tidings of His coming mercy and grace. Is there a god besides Allah? Exalted is Allah above anything to which men may ascribe a share in His divinity. Who is it that originates creation, then repeats it, and gives you sustenance from the sky and the earth. Is there a god besides Allah? Say, "(If you think so,) produce your evidence, if you truly believe in your claim!" (Al-NamaI27 :60-64). Among His signs is that He created you from dust, and then, behold, you become human beings ranging far and wide. And among His signs is that he created for you spouses out of your own kind so that you might dwell with them in tranquility, and He engenders love and tenderness be­tween you. Surely in this are signs for a people who reflect. And among His signs is the creation of the heavens and the earth, and the variety of your languages and your colors. Surely in this are signs for all who are endowed with knowledge. And among His signs is your sleep during the night or day and your quest of some of his bounties. Surely in this are signs for a people who listen! And among His signs is that he shows you lightning, causing both fear and hope, and that He sends down rain from the sky and with it revives the earth after it is dead. Surely in this are signs for a people who use their reason. And among His signs is that the heaven and the earth stand firm by His command. (Remember all this, for) in the end, when He will call you forth from the earth by a single call, you will emerge (Al-Rum 30:20-25). Among all these descriptions of the signs or messages of Allah visible in the universe and in their own selves, human beings can find a multitude of things to observe, ponder, and discuss, and everything is obvious and at every person's level of understanding. Thus, within the Islamic concept is everything for which human nature yearns: the known and the unknown, the Unseen, which cannot be comprehended by one's intellect or seen by one's eyes, and the Visible, amidst which the reason delights to wander and hearts find many things upon which to dwell. Of all the earth's creatures, only man can even begin to comprehend the realms of the majesty of the magnificent Creator, which can be felt by intuition but are beyond human perception, as well as the realms of mundane activity in which man has the free will and responsibility to realize his potentialities and attain to the value and dignity bestowed upon him by Allah. And the human personality finds a balance between the great unknown and great known by believing in the one and enjoying the other. There is a balance between the freedom of the Divine Will and the constancy of the laws of nature. The Divine Will is absolutely free, and one cannot conceive of any restrictions on it. It originates anything by merely desiring its being, with no necessary rule of operation governing it. Allah Almighty does what he desires and when He desires it. Indeed, Our word to a thing when We desire it is that We say to it, "Be," and it is (Al- Nahl 16:40). "Lord," said Zakariyyah, "how shall I have a son since I am an old man and my wife is barren?" "Even so," was the answer, "Allah does what He wills" (Ale '1m ran 3:40). "Lord," said Mary, "how shall I have a child when no mortal (man) has touched me?" (The angel) answered: "Thus (it will be). Allah creates what He wills. When He decrees a thing, He says only 'Be,' and it is" (Ale 'Imran 3:47). And his wife was standing by and she laughed. We then gave her the glad tidings of Ishaq, and after Ishaq, of Y'aqub. She said, "Woe to me! Shall I bear a child, when I am an old woman, and this my husband is an old man? This surely would be a strange thing!" They said, "What! Do you marvel at Allah's command?" (Hud 11:71-72). Truly, the likeness of Jesus in the sight of Allah, is like Adam. He created him of dust and then he said to him, "Be," and he was. The truth is from your Lord, so do not be of the doubters (Ale 'Imran 3:59-60). And [the angels said to Mary that Allah will make Jesus] a messenger to the Children of Israel, (who will say): "I have come to you with a sign from your Lord. I will create for you from clay the form of a bird. And then I will blow into it, and it will become a bird, by Allah's permission. I will also heal the blind and the leper, and bring to life the dead, by Allah's permission. I will also let you know what you may eat and what you should store in your houses. Surely in this is a sign for you, if you are truly believers" (Ale 'Imran 4:49). Or like the one who passed by a town with its roofs caved in. He said, "How shall Allah bring this back to life after its death?" Thereupon Allah caused him to be dead for a hundred years, and then raised him up and asked, "How long have you tarried?" He answered, "I have remained thus a day, or part of a day." He said, "No you have remained thus for a hundred years. But look at your food and your drink. It has not spoiled. And look at your donkey. And We would make you a sign for the people. And look at the bones, how We put them together and clothed them with flesh." So, when it was made clear to him, he said, "I know that Allah has power over everything" (Al-Baqarah 2:259). They said (to each other), "Burn him (Abraham) and help your gods, if you would do anything." (But) We said, "O fire, be cool and safety for Abraham." Although they desired to do him evil, we caused them to suffer the greatest loss (Al-Anbiya 21 :68- 70). When the two hosts sighted each other, the companions of Moses exclaimed, "We have been overtaken!" He replied, "No, indeed. Surely my Lord is with me. He will guide me." Then We revealed to Moses, "Strike the sea with your staff," and it parted, and each part appeared as a huge mountain (Al-Shu'ara 26:61-62). You do not know it, after that, Allah may cause something new to come about (Al-Talaq 65: 1). These examples amply illustrate the absolute freedom of the Divine Will. Accordingly, anything that human imagination may think of as a necessary law or as a logical necessity does not apply to the Will of Allah Most High. At the same time, it is also a part of the Divine Will that there be some customary ways for Divine operation that appear to the people as regular, which they can observe, and formulate as natural laws, and according to which they can regulate their lives and interact with the universe around them. All the while it remains firm in their thoughts and feelings that, in spite of this, Allah's will is absolutely free and can originate anything he desires. Allah Almighty does what he pleases, and it pleases Him to establish certain rules of operation to which they can get accustomed, though, in spite of all these customary laws of nature, His will remains absolutely free. Accordingly, Allah calls atten­tion to His rules of operation within the universe as proof of His control and administration of the universe, so that man, as much as he can understand these rules, may apply them to his life-situations. Said Abraham, "Allah makes the sun rise from the east, so you bring it from the west." Then the unbeliever was confounded (Al- Baqarah 2:258). Neither can the sun overtake the moon nor does the night outstrip the day (Ya Sin 36:40). Such has been Allah's way with those who passed away before. And you shall find no changing in Allah's way (Al-Ahzab 33:62). Many ways of life have passed away before you. Travel in the land and behold how was the end of those who denied the truth (Ale 'Imran 3: 137). Is it not a guidance to them (to contemplate) how many generations We destroyed before them in whose dwelling places they now walk? Surely in this are signs. What! Will they not listen! (Al-Sajdah 32:26). Indeed, We sent Messengers, each one to his own people, even before you, and they brought them clear evidence of the truth. And then We inflicted retributions upon those who did evil, for We made it incumbent upon Us to help the believers (Al-Rum 30:47). We destroyed the generations before you when they did evil. Although Messengers came to them with clear proofs, they would not believe. Thus do we requite people who persist in sinning (Yunus 10: 13). Had the people of the cities believed and remained con­scious of Allah, We would have opened upon them bless­ings from the sky and the earth. But they denied the truth, and so We took them to task for what they had done (Al-A'raf7:96). Between the constancy of Allah's ways and His Free Will, the conscience of man remains on solid ground. Through experimenta­tion and observation man discovers the laws of nature and rules of life, learns the nature of the earth on which he lives and the treasures hidden in it, and finds the purpose of striving and the reward of action. At the same time, he lives with his spirit and soul close to Allah, with his heart always immersed in the Will of Allah, for which nothing is too great or impossible. The difficulties of life, however great they may be, cannot make him despondent. He lives free in his concepts, not constrained in iron molds, with the consciousness that his soul is enveloped by Allah's Will. And so his senses do not become dull, and his hope does not fade. He lives in anticipation of new happenings, taking nothing for granted. The believer uses the laws and patterns of the universe as means because he is commanded to do so, and he acts according to these established patterns, because he is commanded to benefit from them. Never for an instant, however, does he believe that these instruments and means are the real causes or originators of their effects. Indeed, after fulfilling his duty of using the means, doing the best he can and striving in obedience to Allah's command, he ascribes every affair to the Creator of causes and connects himself to Him alone beyond all apparent causes. Thus the Muslim benefits from the constancy of the natural laws, which can be discovered through scientific experimentation and practical experience in his interaction with the universe, and benefits from its secrets, forces, and treasures. He does not neglect any of the fruits of experiments in various sciences or any knowledge gained through practical experience. At the same time, his heart remains connected with Allah, and this connection keeps his heart and con­science alive to the sensitivities of high morals and good manners, which raise his humanity to the highest level of perfection possible during his sojourn on this earth. There is a balance between the domain of free Divine Will, and the domain of limited wills of human beings. This is the famous dilemma that has appeared, in one form or another, among all religions, all philosophies, and all mythologies, the dilemma between freedom of choice and determinism, "the Divine decrees and their fulfillment." No affliction can ever befall earth or yourselves unless it is in our decree before we bring it into being. This is easy for Allah (Al-Hadid 57:22). Say, "Nothing befalls us except what Allah has prescribed for us. He is our Protector. In Allah let the believers put all their trust" (Al-Tawbah 9:51). If something good happens to them, they say, "This is from Allah," but if something bad reaches them they say, "This is from you." Say: "Everything is from Allah." What is wrong with this people? They scarcely understand a single fact (Al-Nisa 4:78). Say: "Even if you had remained in your homes, those (of you) whose death had been ordained would have gone to the places where they were destined to lie down" (AIe­'Imran 3:154). Wherever you may be, death will overtake you, even though you may be in high towers (Al- Nisa 4:78). Verily, Allah does not change the condition of a people unless they change what is in their selves (Al-R'ad 13: 11). That is, because Allah would never change the blessings with which He has favored people unless they change what is in their selves (Al-Anfal 8:53). Nay, but man shall be an eye-witness against himself, even though he offers excuses (Al-Qiyamah 75: 14-15). Consider the soul and how it is formed in accordance with what it is meant to be, and how it is imbued with moral failings as well as with consciousness of Allah! Assuredly he who purifies it shall attain a happy state and he who seduces it shall fail (Al-Shams 91: 7 -10). For he who commits a sin, commits it only against himself (Al-Nisa4:111). Nay, this is an admonition, and whoever wills may take it to heart. And they will not take it to heart unless Allah so wills, for He is Lord of Righteousness, and the Lord of Forgiveness. (Al-Muddaththir 74: 54-58). Verily, this is a Reminder, so that whoever wishes may find a way unto his Lord. But you cannot will it unless Allah so wills, for indeed Allah is All-Knowing, All-Wise (Al-Insan 76:29-30). Now that a calamity has befallen you after you had inflicted twice as much (on your enemy), why did you say, "How is this?" Say: "This is from your own selves." Verily, Allah has power over everything. And all that befell you on the day when the two hosts met in battle happened by Allah's permission (Ale 'Imran 3:165-166). When a person reads these verses describing the three elements (Divine Will, human Will, and the connection between the two), he begins to understand the scope of the meaning of the' 'Divine decree" in the Islamic concept, and thus understands the boundaries of the field of action of human will within the scope of the Divine decree. Philosophers and the theologians of distorted religions are lost in the wilderness of confusion and wonderment when dealing with this issue. Even some of the Muslim scholastic thinkers were puzzled over this issue, because they followed the method of Greek philosophy, rather than following the Islamic method in dealing with it. From the point of view of the correct Islamic concept this issue poses no problem, either in its meaning or in its message. It is clear that Allah creates what He will and originates what He will of events, things, animals, human beings, and the circumstances of their lives, because they form a part of the total creation. Furthermore, all changes and new occurrences in His creation are according to His decrees. Allah's decree operates among a people, however, through the will of individual members and through their actions within their own selves. This does not contradict the assertion that everything is ultimately referred back to the Divine Will. In the third group of verses quoted above, the human will and the Divine Will are mentioned together in a single sentence. If we look at the issue of the relationship between the all-encom­passing Divine Will and human actions by the dim light of man-made concepts, we must presume that there is a dilemma and a contradic­tion. But this is not the correct approach. Issues such as this, concern­ing Allah Most High, His attributes, and His decisions, cannot be dealt with by using man-made rational categories. We must develop new categories of thought in the light of what Allah Most High has informed us in the text of the Qur'an. Other than this we do not have any reliable source of knowledge, and speculation in these matters is no guide. Whomever Allah desires to guide, He opens his breast wide toward Islam; and whomever He wills to let go astray, He causes his breast to be tight and constricted as if he were climbing up to the sky (Al-An 'am 6: 125). And your Lord is not in the least unjust to His creatures (Fussilat 41 :46). The only way the Muslim can reconcile the concept of the com­prehensiveness of Allah's Will with his concept of Allah's justice in judging human beings and rewarding and punishing them, is by assuming that in Allah's reckoning some proportion of freedom has been allotted to man's will, which makes him responsible for his actions and hence liable for punishment and deserving of reward, without permitting this allotted freedom to conflict with the com­prehensive Divine will, which dominates all people, things, and events. "Hows" are entirely the work of Allah. "How" is the connection between what He wills and the way it comes into being, that is, the connection between Willing and Originating. The “hows" are beyond human comprehension. The Islamic concept suggests that we leave such matters to the One with absolute knowledge and absolute power of planning, by placing complete confidence in His justice, His wis­dom, His bounty, and His mercy. Indeed man's power of reasoning is limited by time and space and by immediate influences and psychological conditioning. Man is not destined to understand such proportions and the' 'how" behind them. His task is not to judge the connections and relationships between the Divine Will and human actions. This is left entirely to the all-encompassing, all-planning Will, and to the absolutely perfect Knower, that is to say, to Allah Almighty, who knows the nature of man, the composition of his personality, his natural capacities, his real work or contribution to the world, the exact extent of his choice in this work within the all-encompassing Divine Will, and the recompense for the actual amount of choice involved. Only in this way can we attain right balance in our concept and in our understanding, so that we can work with confidence in accord­ance with the prescribed way of Allah, looking forward to a good ending. The same is the case with what is called, "the problem of the existence of evil and suffering." From the Islamic point of view, this poses no problem. The basic Islamic teachings are that this world is a place for trial and action, and the Hereafter is the place for accounting and compensa­tion. Life on this earth is but a sojourn of short duration and is a stage in a long journey. What happens to a man in this life does not close his accounts nor is it the end of his journey. Indeed, this is a prelude to what comes later, and is a test that determines his grade on the Day of Reckoning. The conscience of man is satisfied and content with this explana­tion. Furthermore, the suffering that befalls a good person because of the operation of evil in the world is balanced by the joy and comfort that also come to him. The Will that controls the two sides of the balance is a single Will, and the Source of both suffering and joy is a single Source, and no one can share His knowledge or His decision. The message of Islam also addresses the deeper levels of human conscience. A sincere believer, striving to realize the way of Allah in his life and to establish it in society at large, is always consciously pleased and happy in this world, even before receiving the reward promised him in the Hereafter, and even while he is enduring suffering caused by evil people. This consciousness springs from his feeling that he is seeking the pleasure of Allah in whatever he does, and that Allah is pleased with his striving. Human nature is so constituted by Allah that it enjoys the thrills of doing battle against evil and falsehood and helping the cause of good and truth. Indeed, the enjoyment of this struggle is an ample reward in itself, even at the very moment a person is facing the assaults from evil and falsehood and countering them with all his power. In the nature of this struggle there is a hidden recompense and also an inner peace coming from the consciousness that Allah will reward one both in this world and the next. This contentment of the heart lasts one until the Day of Reckoning. But He guides to Himself those who turn to Him in penitence, those who believe and whose hearts find rest in the remembrance of Allah; for verily in the remembrance of Allah are hearts at rest (Al-R'ad 13:28). Is one whose heart Allah has opened wide to Islam, so that he walks in a light from his Lord (no better than the blind of heart)? Woe, then, to those whose hearts are hardened against the remembrance of Allah! They are in manifest error (Al-Zumar 39:22). On those who have said, "Our Lord is Allah" and then have followed the right way, the angels descend, saying, "Neither fear nor grieve but be joyful about the Paradise promised to you. We are your friends in the life of this world and in the hereafter, therein shall you have all that your soul desires, and in it you shall have all that you call for, as hospitality from the All-Forgiving, All-Compas­sionate" (Fussilat 41: 30-32). Do not lose heart, or grieve, for you are bound to rise high if you are truly believers (Ale 'Imran 3: 139). Say: "Are you waiting for something to happen to us? But except one of the two best things (victory or martyrdom). But we are waiting hopefully for Allah to inflict chastise­ment upon you either from Himself or by our hands. So wait, and we shall wait hopefully with you" (Al-Tawbah 9:52). As to evil itself, which is not necessarily accompanied by suffering in every case, the question is raised why does evil exist, when Allah has the power not to have introduced it from the very beginning. He could have guided all the people, or in fact, could have created them guided? This question actually has no place in the Islamic concept. Of course Allah is able to change human nature to fit the way of Islam or fit some other way, or He could have created man with an altogether different nature. But it pleased Him to create man with his existing nature and to create the universe as we see it. Should any creature play God, when it does not have and can never have the knowledge needed to comprehend the entire system of existence, and the natures of all the creatures, and their individual needs and require­ments, and the wisdom behind the specific nature given to each creature? Allah is the only One who knows, because He is the One who created the world and whoever and whatever is in it, and He is the only One who determines the best nature and form for His creatures in the universe that He created for them. So glory be to Allah the best of creators (Al-Muminun 23:14). Moses said, our Lord is the One who gives to each thing its form and nature and then guides it (Ta Ha 20:50). And if Allah had so willed, He would have made you one nation. But (He willed it otherwise) in order to try you in what has come to you. So, compete with one another in doing good works. Unto Allah shall you return all together, and then He will make you truly understand everything about which you used to differ (Al-Ma'idah 5:48). Had Allah not driven back the people, some by means of others, the earth would have been corrupted, but Allah is bounteous toward all creation (Al-Baqarah 2:251). "Why is it so?" Such a question is raised neither by a sincere believer nor by a serious atheist. The sincere believer does not ask this question because he is too respectful of Allah Most High. He knows from the Islamic teachings the attributes of Allah, and knows perfectly well that the human intellect cannot operate in these realms. And the serious atheist is not concerned with this problem, because he does not believe in God to start with. If he would come to believe in God, he would also know that this is among the Divine prerogatives and that Allah's decisions are all according to His wise plan. Only a hard-headed argumentative person or a light-hearted jester raises such questions. It is useless to try to answer him with rational arguments, since the question is on a plane higher than the sphere of human reason. To know the “why" of it, a man must become God. But man cannot become God. So, the only recourse left is to accept the given situation and all that it entails. The forces of evil are similarly limited in knowledge and power. The one who urges toward evil through temptation and tries to push people toward sin and error, according to Islamic teachings has not been given decisive power over human beings. He can only tempt. In the conflict between man and Satan, strong shields against the power of Satan are faith, remembrance of Allah, and seeking Allah's help and protection. (Iblis) said, "O My Lord! Since You have thwarted me, I shall make (all that is evil) on earth attractive to them, and I shall pervert them all, except such of them as are Your sincere servants." Said He, "This is, with Me, a straight path. Over My servants You shall have no authority, except over those who are lost in error and follow you" (Al-Hijr 15:39-42). Said He, (Allah to Adam and Eve), "Down with you all from this and be enemies to one another. But guidance shall come to you from Me, and then whoever follows My guidance shall not go astray, and neither will he be unhappy. But whoever turns away from My remembrance shall have a life of narrow scope, and on the Day of Resurrection We shall raise him up blind." He will ask, "0 my Lord! Why have You raised me blind, whereas (on earth) I had eyes to see?" (Allah) shall say, "Thus it is: Our signs came to you but you were oblivious to them, and so today you shall be con­signed to oblivion" (Ta Ha 20: 123-126). And when everything will have been decided, Satan will say, "Allah promised you a true promise, I also promised you, but I deceived you. Yet I had no power over you except that I called you and you answered me. So, do not blame me, but blame yourselves" (Ibrahim 14:22). When you recite the Qur'an, first seek refuge in Allah from Satan, the rejected. He has no authority over those who believe and trust in their Lord. His (Satan's) authority is over those who take him as their friend and those who ascribe associates to Allah (Al-Nahl 16:98-100). Surely the guile of Satan is ever weak (Al- Nisa 4:76). Still, the question remains: since Allah has created each human being with definite capabilities that incline him either toward good and guidance or toward evil and error, how can Allah punish the wicked and evil person and reward the rightly guided and good person, whether in this life or the next? In this form, this is a misleading question. The Qur'an says in this regard only that Allah originally created man in the best of patterns, man does not lose his station except through his forgetfulness of Allah, that man is being tried through good and evil and has the power to choose, and that he is helped by Allah in his striving if he sincerely strives to please Allah. We indeed created man in the best of patterns. Then We reduced him to the lowest of the low, except those who believe and do good deeds, for theirs shall be a reward unending (Al-Tin 95:4-6). Consider the soul and how it is formed and is imbued with moral failings as well as with consciousness of Allah. As­suredly, he who purifies it will be successful, and he who seduces it will fail (Al-Shams 91:7-10). We created man of a drop of sperm intermingled, so that we might try him, and therefore We made him a being endowed with hearing and sight. Surely We have guided him to the way, whether he be thankful or unthankful (Al-Insan 76:2-3). Surely your striving is to diverse ends. As for him who gives and is conscious of Allah, and testifies to the best, We will indeed make smooth for him the path to the ultimate bliss. But he who is niggardly and thinks himself self-sufficient, and gives the lie to the best, We will indeed make smooth for him the path to the ultimate hardship (Al-Layl92 :4-1 0). But as for those who strive in Our cause, We shall certainly guide them to Our paths, for indeed Allah is with the doers of good (Al- 'Ankabut 29:69). Thus, the Islamic concept deals with this issue in the correct perspective, whereby Allah's decree in human affairs works through the will of individual persons and through what they do to change themselves and to change the circumstances of their lives. Furthermore, the Islamic concept teaches the Muslim that Allah has made obligatory on him some clearly spelled out duties, and similarly has forbidden him some clearly defined acts and things. These obliga­tions and prohibitions are open to study and understanding, because there are no mysteries or unknowns among them. Allah will take account only of these matters. As to matters relating to the Unseen, to the Decrees of Allah, and to things beyond human perception Allah does not make the Muslim responsible to investigate them. In fact, He does not command him to do anything in their regard except to believe that Allah decrees both the good and the evil. Thus the path of the Muslim is clearly laid out and is straight. He is to fulfill the prescribed obligations, as much as he can; stay away from the clearly defined prohibitions; busy himself in acquiring the knowledge of Allah's commands and prohibitions; and avoid trying to go beyond the limited powers of man's comprehension in knowing the transcendent Unseen. Indeed, Allah Most High did not intend to place any responsibility on us to know what is beyond our power or to do what is so difficult that it would be impossible to perform. Similarly, Allah Most High did not prohibit anything that would be beyond our power of abstention, or tempt us with a compulsion beyond our power of resistance. Allah does not charge any person beyond his capacity. In his favor shall be whatever good he earns, and against him whatever evil he does (Al-Baqarah 2:286). Whenever they commit an indecency they say, "We found our fathers practicing it, and Allah has commanded us to do it." Say: "Allah does not command indecency. Would you attribute to Allah something of which you have no knowledge?" Say: "My Lord has commanded you to do justice, and to put your whole being into every act of worship and to call on Him, sincere in your faith in Him alone" (Al-A'raf 7:28-29). Indeed, a person's faith in Allah is not complete unless he believes that Allah does not place a burden on him beyond his power to bear, or prohibit him anything beyond his power to renounce, and this is sufficient. Through these teachings the right balance is achieved in belief and in understanding, as well as in work and activity. The Islamic concept gives an impetus to the conscience of every man to devote his energy to helping others by righteous deeds and to remaining active and dynamic in following the straight path by relying on the help of Allah in whose hands is everything. It also cuts the roots of lethargy, inaction, wishful thinking, and negativism, and blocks the temptation to transfer the responsibility for one's sins to the Will of Allah. Through these teachings it is made known that Allah is not pleased with unbelief and the rejection of truth, and that He does not want lewdness and indecency to spread among the believers. It is not pleasing to Allah if one leaves evil to itself without struggling against it, or leaves truth to itself without helping to support it, or abandons the earth to itself without the management of stewardship. It is also made clear that the present life is a trial, through the means of both good and evil, and a test in every action and circumstance; that man will be called to account on the Day of Reckoning and will be recompensed for his good and bad deeds; that man is the vicegerent of Allah on earth and has an honorable place in this universe, because he is to manage the affairs of the earth; and that if he does his task of vicegerency according to the way prescribed by Allah, he will be rewarded, and if he fails in this task he will be punished, even though this failure may be due to a lack of courage or to an attempted escape from responsibility. There is a balance between man's absolute servitude to Allah and man's honorable position in the scheme of existence. The Islamic concept is completely safe and secure from the swings and oscillations that have plagued other religions, philosophies, and belief systems, between the two extremes of deifying man in various forms and degrading man to a level below other animals. Islam makes a total distinction and separation between the essence of the Creator and the essence of the created, between the station of the Divine and the station of His servants, and between the attributes of the Deity and the attributes of His creatures, so that there remains no doubt or ambiguity about this clear-cut distinction. Allah, "there is nothing like Him," means that nothing and no one can share with Him in His Essence or His Nature. Allah, "He is the First and the Last and the Outward and the Inward,” means that nothing and no one shares with Him in His being. "All that is on earth will perish, but the Face of your Lord, majestic and splendid will abide,” means that no one shares with Him in His eternity. Allah, "He will not be questioned for what He does but they will be questioned," means that no one shares authority with Him. "Allah is the Creator of all things" means that no one has any share in His creating. "Allah grants abundant sustenance or gives it in scant measure to whomever He wills,” means that no one participates in His sus­tenance of the world. “'Allah knows and you do not know," means that no one shares with Him in His knowledge. "And nothing can be compared with him," means that no one shares His exalted station. "Do they believe in forces supposed to have a share in Allah's divinity who enjoin upon them as a moral law something that Allah has never allowed?" means that no one shares with Him in His lawmaking for the people. The same is true for each and every attribute of Allah Most High. In contradistinction to Allah, man is His servant, just like any other creature in existence. Man is a servant who has no share in Allah's essence or in any of His attributes. No finite being has anything in common with the Infinite, though the Christians say, depending on their denominations, that the nature of Jesus Christ, may Allah's peace be upon him, is purely Divine or is both Divine and human. (As for Jesus) he was nothing but a servant whom We had graced, and We made him to be an example for the children of Israel (Al- Zukhruf43:59). Never did the Christ feel too proud to be a servant of Allah, nor do the angels who are near to Him (Al-Nisa 4: 172). Not one of all (the beings) in the heavens or on earth appears before the All-Merciful other than as a servant (Maryam 19:93). With this servitude to Allah, however, man has been honored, because Allah has breathed into him His spirit. Man is honored above all of Allah's creation, even to the extent that Allah commanded the angels, who are near to Allah, to prostrate before Him in respect. And when Your Lord said to the angels, "See, I am creating a mortal man from a clay of molded mud. And when I have fully formed him, and breathed My spirit into him, fall down before him in prostration!" Then the angels prostrated all together, except Iblis (Al-Hijr 15:28-30). Man is the deputy of Allah on this earth, with power over everything in it and control over all its resources. This was man's role in the design of the universe even before he came into existence. And when Your Lord said to the angels, "I am setting in the earth a vicegerent," they said, "What! Will you put in it a being who will spread corruption there and shed blood, while we proclaim your praise and sanctify You?" He said, " Assuredly, I know what you do not." And He taught Adam all the names. Then He presented them to the angels and said, "Now, tell me the names of these, if you speak truly." They said, "Glory be to you! We know nothing except what You have taught us. Surely, You are the All-knowing and the All-wise." He said, "Adam, tell them their names." And when he told them their names, He said, "Did I not tell you that I know the hidden reality of the heavens and the earth, and I know what you reveal and what you conceal" (Al-Baqarah 2:30-33). And He has subjugated for you, from Himself, all that is in the heavens and on the earth (Al-jathiyah 45: 13). He has placed firm mountains on earth, so that it will not shake with you, and rivers and paths, so that you might find your way (Al-Nahl 16: 15). Have you not seen that Allah has made subservient to you all that is on earth, and the ships that sail on the sea at His command, and (that it is He who) holds back the sky so that the celestial bodies will not fall upon the earth, except by His leave? Surely, Allah is All-Gentle with people and All-Compassionate (Al-Hajj 22:65). The human being, as we mentioned earlier, attains to the highest station and the best position for him when he commits himself to the service of Allah alone, because at this level of commitment he is completely in tune with his nature, in perfect harmony with the rest of existence, and at the pinnacle of his abilities. This station, which Allah granted to His Messenger, peace be upon him, when he received revelation and was taken on the Night Journey and Ascension, is the highest worship of Allah and is the very purpose for which man was created. As He says: "I have created jinn and mankind only to worship me (Al-Dhariyat 51 :56). When people attain to this station of servitude exclusively to Allah, they are protected from servitude to other servants, and everyone of them secures his or her human dignity, whatever worldly positions and ranks each might have. This station raises their foreheads high, because they do not bow down before anyone except Allah, and at the same time it restrains them from false pride and from the haughti­ness that leads to corruption and tyranny. And it puts in their hearts the fear of Allah, before whom all servants stand equal. It holds back any servant of Allah from claiming the Divine attributes for himself, for example, by promulgating laws for people without authority from Allah, as if one were a sovereign over people, with the right to make one's decrees into binding laws for mankind! Again, in the Islamic concept the dignity, sublimity, and greatness of man, and his servitude to Allah Most High do not conflict with reserving Divinity for Allah alone with all the attributes pertaining to it. Hence, it is not necessary to negate a person's position of servitude to Allah in order to honor him, nor to ascribe to any person Divine attributes undeservedly in order to elevate his status, as was done by the Fathers of the Church and its Councils. They deified Jesus, may peace be upon him, when they felt the need to honor him and to elevate his status. They who say “Allah is the Messiah, Mary's son, have rejected the truth." For the Messiah said, "Children of Israel, serve Allah, my Lord and your Lord. Verily if anyone ascribes divinity to any being besides Allah, Allah will prohibit him entrance to the Garden, and his abode shall be the Fire, and such wrongdoers shall have no helpers." They are unbelievers who say, "Allah is the third of three." No deity is there but One God. If they do not desist from what they say, a painful punishment shall afflict the disbelievers among them. Will they not turn to Allah and ask for His forgiveness? Indeed Allah is All-Forgiving, All-Compas­sionate. The Messiah, son of Mary, was only a Messenger. There have been many Messengers before him. His mother was a just woman. They both used to eat food. Behold, how We make clear the signs to them. And then behold how they turn away from the truth" (Al-Ma'idah 5:72-75). And when Allah said, "O Jesus son of Mary, did you say to the people, 'Take me and my mother as gods besides Allah?,' he said, "Glory be to you! It is not possible for me to say what I have no right to. Had I said this, You would have known it. You know what is in my mind, and I do not know what is in Your mind, for indeed, You are the Knower of the Unseen. I only told them what you commanded me, Serve Allah, my Lord and your Lord. And I was a witness over them as long as I dwelt among them, but when You took me to Yourself, you were yourself Watcher over them, for You are witness to everything. If You punish them, they are Your servants. If You forgive them, You are the All-­Mighty, the All-Wise" (Al-Ma'idah 5: 116-118). Thus, there is no need to downgrade Allah the Exalted, however much one intends to honor man or to declare his high status and his dominance and authority on the earth, or however much Allah opens to him the secrets of matter and lets him have sway over the forces of nature. Indeed, Allah Most High and man are not equals, nor rivals, nor combatants, and for this reason one does not have to be pushed down to lift the other, nor does one have to be defeated to make the other victorious. This type of ugly thinking among the Europeans is a heritage from Greek mythology and the Jewish tradition, which eventually found its way into Christianity and its secular successors. Thus we have the story in Greek mythology about the chief deity, Zeus, who became angry at Prometheus for secretly stealing the light of the Sacred Fire (the secret of knowledge) and giving it to man. Zeus did not want man to acquire knowledge and thus vie with the "gods" and eventually depose the Chief god, so he severely punished Prometheus for this terrible crime! And in Hebrew mythology ("Genesis" 3:22), God is afraid that if the man eats the fruit from the tree of life, i.e. after he had eaten from the tree of knowledge, he would become immortal like a god. So God drove man out of the Garden and stationed cherubim and a whirling and flashing sword to guard the way to the tree of life. And Nietzsche in his mythological work, Thus Spake Zarathustra, declares that god is dead and “Superman" is born. A monstrous word it is, issuing out of their mouths. They say nothing but a lie (Al-Kahf18:4). In Islam, the human being accepts his true position calmly, conten­tedly, and with deep satisfaction that he is a true servant of Allah. And in this servitude to Allah he is the noblest of all creatures. He attains his highest position, his greatest happiness, and the best position when he becomes a willing and committed servant of Allah. We must recognize that because such mythological concepts are hidden underneath European thought and indeed have penetrated deeply into its very heart, their philosophical systems, schools of thought, and indeed their very mode of thinking is in conflict, ob­viously or not so obviously, with the Islamic concepts and the Islamic mode of thinking. Any borrowing from the European concepts, or their way of thinking, or their schools and philosophical systems, is inherently inimical to the Islamic concept and the Islamic mode of thought. To take anything from European thought or to appeal to it can never be beneficial to Islam. On the contrary, it would act as poison in the body of Islam, paralyze its limbs, destroy its functioning and, if taken in large doses, ultimately kill it! In the relationship between the servant and his Lord, there is a balance between the servant's attributes of fear, respect, and distance and Allah's attributes active in the universe. The life of people includes both aspects in a perfect balance. And know that Allah comes between a man and his heart, and that it is He to whom you shall be gathered (Al-Anfat 8:24). He knows of (the tricks) that deceive with the eyes, and all that the hearts conceal (Ghafir 40: 19). It is We who created man, and We know what his soul whispers within him, for We are nearer to him than his jugular vein (Qaf 50: 18). And be aware that Allah knows what is in your minds, so take heed of Him (Al-Baqarah 2:239). And fear Allah and know that Allah is strict in punishment (Al-Baqarah 2:196). We shall bring them low step by step without their perceiv­ing how it has come about. I may give them rein for a while, for truly powerful is My plan (Al-Qalam 68:44-45). Indeed, strong is the grip of Your Lord (Al- Buruj 85: 12). Allah is Exalted in Might, Lord of Retribution (Ale 'Imran 3:4). And such is the grasp of your Lord when He takes to task any community given to evildoing. Grievous, indeed, and severe is His punishment (Hud 11: 102). And leave Me alone (to deal) with those in possession of the good things of life, but who deny the truth. And bear with them for a little while. With Us are fetters and a Fire, and a food that chokes, and a grievous punishment (Al-Muzzam­mi173: 11-14). When my servants ask you concerning Me, I am indeed near. I listen to the prayer of every supplicant when he calls on Me (Al-Baqarah 2: 186). Who is it that responds to the distressed when he calls on Him and who relieves the suffering and has made you inheritors of the earth? Could there be another god besides Allah? (Al-NamaI27:82). Satan threatens you with the prospect of poverty and bids you to unseemly conduct. Allah promises you His forgive­ness and bounty, and Allah cares for all, and He is All-know­ing (Al-Baqarah 2:268). And Allah will not let your faith be of no effect, for Allah is full of kindness toward man and Most Merciful (Al-Baqarah 2:143). Allah wishes to lighten your burden, for the human being was created weak (Al- Nisa 4:28). Why would Allah cause you to suffer if you are grateful and believe? Indeed Allah is appreciative of gratitude and He is AII- Knowing (Al-Nisa 4: 147). Verily, those who believe and do good deeds will the All-Merciful endow with love (Maryam 19:96). And He is Forgiving, and Loving (Al-Buruj 85: 14). And Allah is All-Kind to His servants (Al- Baqarah 2:207). And give to the believers who do good works the glad tidings that theirs shall be a goodly reward, to live therein forever (Al- Kahf 18:2-3). And there are descriptions of the varieties of pleasures and luxuries in the life of the Hereafter that fill the heart with joy. By considering both life and the afterlife and the rewards and punishments in each, the conscience of a person finds a balance between fear and hope, awe and love, and anxiety and contentment. Such a person continues his journey toward Allah with steady steps, open eyes, and a vibrant heart, full of hope, and aware of pitfalls, yet constantly climbing toward the bright horizon. Such persons neither overestimate nor underestimate the realities nor are heedless and forgetful of their responsibilities, yet are always aware that Allah Most Gracious is Forgiving and Forbearing, and Merciful and Full of Bounty, and that Allah does not intend evil toward them, and has not imposed hardships or searched for mistakes in order to inflict revenge. Indeed Allah Most High is far above such things. We need only compare this concept with that of the Chief god of the Greeks, who is narrow-minded, jealous, sensuous, and malicious, or with the distorted concept of the Lord God of the Israelites who is jealous, partisan, vengeful and cruel. Or we might compare the Islamic concept of Allah, revealed in the Qur'an, with the abstract Divine Being of Aristotle, who is not even aware of the creation but only contemplates Himself, since he is the Most Sublime Being and nothing is befitting to such a god except thinking about the Most Sublime, or we might compare Allah with the concepts of the Materialists whose deity is "Nature," deaf, dumb, and blind. Then we can truly appreciate the beauty, the sublimity, and the balance of the Islamic concept, and its effects on the personalities and lives of human beings and on their mutual relationships as well as on their several and practical ways of dealing with each other. We will discuss this point in more detail in the chapter “Dynamism." There is a balance between the sources of knowledge, between the Unseen and the observable in the universe, i.e. between the sources in revelation and scripture and the sources in the universe and life. We have shown in earlier discussions how the European concept flip-flopped among three sources, emphasizing in turn Scripture (or Revelation) by itself, then reason on its own, and then sensory per­ception alone as the only valid source of knowledge. The partisans of one would reject the other sources entirely and deny their very existence. Islam, on the other hand, with its comprehensiveness and balance and with its all-inclusive view of existence, and without any prejudice, whim, desire, ignorance, or deficiency holding it back, does not ignore any source of knowledge. Rather, it gives each source its proper place, neither exaggerating its importance nor down-grading it but assigning to it the place it truly deserves. Islam refers the whole matter to Allah Most High and to His Will and Plan. Islam attributes the creation to His Will alone, and the creation includes this universe and what it contains, including every human being and his or her intellect and perceptions. It then follows that there cannot be any contradiction in whatever exists in the universe, or nature as is called by the Westerners, nor in life and its expressions, which include economics, the deity of Karl Marx. There cannot be any contradictions in what man observes and knows through his “intel­lect," because all objects of observation and intellect are made by Allah, and the human abilities to perceive them are also from Him, as is also the other source of knowledge, Revelation. Islam considers Revelation (Wahy) the true source, because it is not touched by falsehood from any direction nor influenced by desire and hence is the highest source. At the same time Islam abolishes neither human reason, nor human powers of observation and sensory percep­tion, nor what surrounds him waiting to be observed, because the physical universe is also an open book of Allah designed to provide knowledge to human minds just as does Revelation. The one dif­ference between the two is that the knowledge man gets through his faculties of physical observation is subject to error and further verification, since it is a product of human effort, while what he learns from Revelation is true without doubt. Indeed, Allah Most High has created man harmonious within him­self and harmonious with the rest of the universe, both animate and inanimate. They are all created by Allah, and they all receive His guidance. He (Moses) replied, "Our Lord is the One who gives every­thing its form and nature and then guides it" (Ta Ha 20:50). Glorify the name of Your Lord Most High, Who creates (everything), then shapes it and determines its measure, and then guides it (Al-A'fa 87: 1-3). And of everything We have created pairs, so that you may receive instruction (Al-Dhariyat 51:49). There is not an animal living on earth nor a bird flying on its wings but forms (parts of) communities like you (Al­-An 'am 6:38). (Moses replied) "My Lord never errs, nor forgets, He who has made for you the earth like a carpet spread out and has provided you with means of communication to move on it and earn your livelihood" (Ta Ha 20:52-53). From it (the earth) We created you, and into it shall We return you, and from it shall We bring you out once again (Ta Ha 20:55). Glory to Him Who created in pairs all things that the earth produces, as well as their own (human) kind and other things of which they have no knowledge (Ya Sin 36: 36). (He is) the Originator of the heavens and the earth, He has made pairs from among yourselves, and pairs among cattle (Al-Shura 42: 11). From the many verses in the Qur'an that mention the harmony, cooperation, and balance among all of Allah's creations, including the human beings, we mention a few here. Have We not made the earth as a wide expanse and the mountains as pegs? And We have created you in pairs, and made sleep for your rest, and made the night as a covering, and made the day for livelihood. We have built above you seven firmaments, and have placed therein a lamp full of blazing splendor. And from wind-driven clouds We send down water in abundance so that We may produce there­with grain and vegetables and gardens dense with foliage (Al-Naba 78:6-16). What! Are you more difficult to create than the heavens which He has built? High has He raised its vault, and then given it order and perfection. And He has made dark its night and brought forth its splendor with the light of day. And after that He spread wide the expanse of the earth and caused its waters to come out of it and its pastures, and has made the mountains firm. All this as a means of livelihood for you and your domestic animals (Al-Nazi'at 79:27-33). Let man consider his food that We pour down water abun­dantly and split the earth in fragments and then cause grain to grow out of it and grapes and nutritious plants and olive-trees and date-palms and gardens dense with foliage, as well as fruits and herbage for you and your domestic animals to enjoy ('Abasa 80:24-32). And Allah sends down rain from the sky and gives there­with life to the earth after its death. Indeed, in this is a sign for those who listen. And verily in cattle too you will find an instructive sign from what is within their bodies, be­tween excretions and blood, for We produce, for your drink, milk, pure and agreeable to those who drink it. And from the fruit of the date-palm and the vine, you get wholesome drink and food. Behold, in this also is a sign for those who use their reason. And your Lord inspired the bee, "Make for yourself dwellings in the hills and in trees, and in what (men) may build, and eat all kinds of fruit and follow humbly the paths ordained for you by your Lord." There issues from within their bodies a drink of varying hues, wherein is healing for people. Verily in this is a sign for a people who give thought (Al-Nahl 16:65-69). It is Allah who has given you (the ability to build) your houses as rest for you; and has endowed you with (the skill to make) dwellings (tents) out of the skins of animals, which you find so light when you travel and when you camp, and (to make) furnishings and goods for temporary use out of their rough wool and their soft, furry wool and their hair. It is Allah who made out of the things He created some things to give you as means of protection. Among the hills He made some for your shelter. He gave you (the ability to make) garments to protect you from extreme temperatures, and coats of mail to protect you from your (mutual) violence. In this way He bestows the full measure of His favors on you, so that you may surrender yourselves to Him (Al-Nahl 16:80-81). The point we want to make is this: Islam is based on the premise that there is a fundamental harmony and unity between the universe and man. Within the universe, in life, and in animals there are sources of knowledge for the human being, beyond what he has received through Divine Revelation. Allah Most High exhorts man to receive knowledge of the truth first from the source of Divine Revelation, then from the open book of the universe which is His manifest creation, and also from within his own self. Indeed introspection and knowledge of one's self is a very important source of knowledge for man. Verily this Qur'an guides to what is most right (Al-Isra 17:9). Finally We have set you on a way by which the purpose (of faith) may be fulfilled, so follow this way and do not follow the likes and dislikes of those who do not know (the truth) (Al-Jathiyah 45: 18). These are messages of a revelation clear in itself and clearly We have sent it down as an Arabic Qur'an from on high in order that you may learn wisdom. In revealing this Qur’an to you, We explain it to you in the best possible way, since before this you were among those who are unaware (of what Revelation is) (Yusuf 12:2-3). (For although) We did say, "Down with you all from this (state)," there shall nonetheless most certainly come to you guidance from Me. And those who follow My guidance need have no fear and neither shall they grieve. But those who are bent on denying the truth and giving the lie to Our Messages are destined for the fire, and therein shall they remain (Al-Baqarah 2:38-39). And then We made with you a covenant and caused the Mount to tower above you, (saying), "Hold fast by what We have given you and remember what is therein (Al-Baqarah 2:63). But we also find very many verses of the Qur'an calling our attention to the open book of the universe, urging us to observe it, ponder upon it, and learn from it. And in the earth are signs for those who have sure faith, and (also) in yourselves. Can you then not see? (Al-Dhariyat 51:20-21). We shall show them Our signs on the horizons and within themselves until it will be manifest to them that it is the truth (Fussilat 41: 53). Do they (who deny resurrection) never gaze at the clouds pregnant with water, (and observe) how they are created; and at the sky how it is raised high; and at the hills, how firmly they are set up; and at the earth, how it is spread out? Remind them, for you are only to exhort them (to remem­ber their Lord). You cannot compel them to believe (Al­-Ghashiah 88: 17-12). Have they not seen birds obedient (to his laws) in mid-air? None holds them up but Allah. Herein, indeed, are signs for a people who believe (Al-Nahl 16:79). In the creation of the heavens and the earth, and the difference between night and day, and in the ships that sail upon the sea with what is useful to man, and in the water that Allah sends down from the sky to revive the earth after its death and cause all manner of living creatures to multiply on it, and in the change of the winds and the clouds that follow their appointed courses between the sky and earth, are signs for a people who use their reason (Al-Baqarah 2: 164). On the role of reason in the service of knowledge, whether in contemplating the signs in the physical world or reflecting upon the truths of Divine Revelation or the realities of life, we find in the Qur’an various texts. Say, "I counsel you one thing only: that you do stand up before Allah -(it may be) in pairs, or (it may be) singly­- And reflect (within) yourselves): your companion is not possessed. he is no less than a warner to you, in face of a terrible penalty. "(Saba 34:46). Will they not then ponder on the Qur'an? If it had been from other than Allah, they would have found therein much incongruity (Al-Nisa 4:82). Do they not travel through the land, so that their hearts (and minds) may thus learn wisdom and their ears may thus learn to hear? Truly it is not eyes that go blind but hearts, which are in their breasts (Al-Hajj 22:46). In the creation of the heavens and the earth, and the alternation of day and night, there are indeed signs for men of understanding, those who remember Allah standing, sitting, and lying down on their sides, and (thus) reflect on the creation of the heavens and the earth: "Our Lord You have not created this without meaning and purpose. Glory to You!" (Ale 'Imran 3:191). It is He who brought you forth from the wombs of your mothers and you knew nothing. And He gave you hearing and sight and minds, so that you may be grateful (A1-Nahl 16:78). Thus all sources of knowledge, according to their relative impor­tance, are emphasized in the balanced view of the Islamic concept. None of them is downgraded nor is anyone raised to the level of a deity. In the Qur'anic method of training and education, a great deal of emphasis is placed on directing the human mind toward the study of natural phenomena and of the human self, so that people may know their Creator by knowing His creation, may appreciate His greatness by looking at the greatness of His handiwork, and may love Him by delighting in His favors. Moreover, above all this, the Qur'an is designed to impress upon the human mind the characteristics of Allah's creation, namely perfection, order, harmony, and beauty without any defect, conflict, or disturbance, just as it also is designed to impress upon the human mind the established laws, rules, and principles that govern creation. And again, by drawing attention to the constantly changing phenomena and events of the universe, and the changing conditions of people, and of constant tides of change in the ideas and feelings within human minds, the Qur'an is designed to engrain upon the human consciousness that Allah alone does not change for He is the One Who causes change but Himself is unchang­ing. Everything decays and perishes except the Living and Eternal, who does not die. Furthermore, the Qur'an functions to imprint on the human mind and character an awareness of the constancy of the natural laws that govern these changes, and the fixity of the fundamen­tal principles operational in the universe, which show that events do not happen randomly, that life is not purposeless, and that man has not been left alone to his own resources. There is order and measure, trial and reward, and a delicate balance and precise justice in all that takes place. Much emphasis is placed on sources of knowledge external to the Qur'an, namely, on observation of the phenomenal world and on contemplation of the self. Islam encourages people to learn from Allah's open book, the Qur'an, as well as from all other sources, because there is perfect harmony and balance among all these sources of knowledge, without conflict or contradiction, and without one disparaging the other. Alas we see such conflicts galore in the history of European thought! To say that Divine Revelation is the fundamental source of knowledge does not imply the cancellation of man's faculties of perception and reasoning, just as the existence of the universe does not imply the non-existence of the human mind or of the Creator. Exalted is He above all these devious concepts followed by the West and the slaves of the West! There is a balance between man's role and the role of the rest of the universe, and between the position of man and the position of the universe. The Islamic conception of these roles is sound and safe from the deviations and reversals that have afflicted other concepts when­ ever they have deviated from Allah's guidance. The straightness of the Islamic concept in respect to man and the universe, becomes crystal clear when we look at the trash heaps of man-made philosophies and belief systems. In Plato's view, matter was at the lowest level in value and estimation. "In Plato's philosophy existence is divided into two Opposing categories: Absolute Intellect and Matter or Substance. Power belongs entirely to Intellect, while Matter is powerless. Between these two are things ranked according to their proximity to Matter or to Intellect. The higher the Intellectual content in an object the higher its rank in the scheme of the universe. Christianity, as formulated by the Church, taught that the world of bodies, or the physical world, is the representation of all that is evil, while the good is in the world of spirit. Thus, whatever is physical must be shunned in order to attain salvation from evil and sin. Similar was the view of Hinduism before that. While this was the view of the physical world in some philosophies and religions, a reversal of outlook took place during the nineteenth century in European thought. In the positive science of Comte and Fichte "nature" was the originator of life and the human intellect and was looked upon as god. In the formulation of Marx, the material world, in the form of economic activity, became the creator of morals, manners, minds, religions, and philosophies. In comparison with these gods of material order and economic force, an individual human being is worth very little, because he is a passive recipient and his mental activity is merely a secondary by-product of matter! Among all these philosophies which go to one extreme or another, the Islamic concept stands out because it stands on a firm and fixed foundation. Allah is the Creator, the Originator, the Guardian, and the Ruler of the universe. Both man and the physical world are His creation and between these two elements of creation there is a relationship of harmony and cooperation. In the Islamic concept man is more honorable in the sight of the Creator than other creatures. He is given dominance over matter, so that he may find its secrets, use it, mold it for his own purpose, change it, and transform it. Yet, his knowledge of the secrets of matter teaches him humility and fills his mind with awe and wonder. Honoring the human being, without at the same time degrading the physical world, guarantees for man his noble place in the scheme of things, bestows upon him dignity, and makes his life more valuable than anything material, all without underestimating the worth of material things and of human effort to enhance his material prosperity. These are some aspects of the characteristics of balance in the Islamic concept. Following these examples the reader can pursue the subject further on his own. See Muhammad Qutb's Manhaj Al-Tarbiyat A l-Islamiyah.